Really looking forward to working with Richa Srivastava in Pleasanton, near San Jose CA, in her new venture with hairdressing chain Bishops in furnishing her new salon with my work. 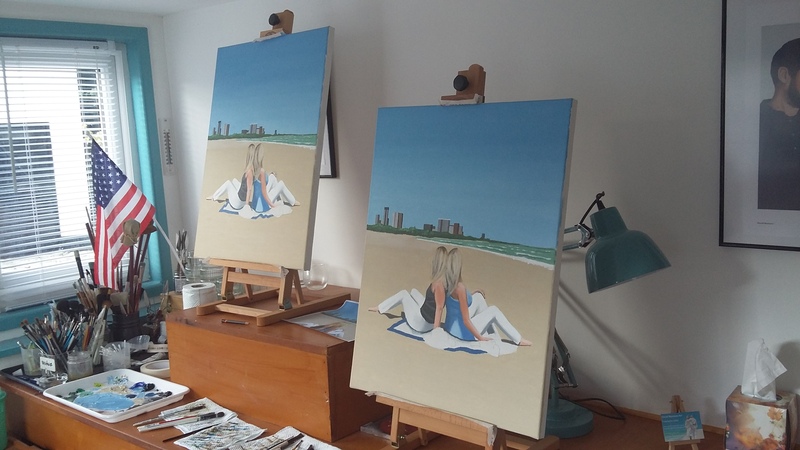 Work in progress on two “identical” paintings for two lovely sisters in Chicago. It’s certainly a challenge, but nevertheless great fun. 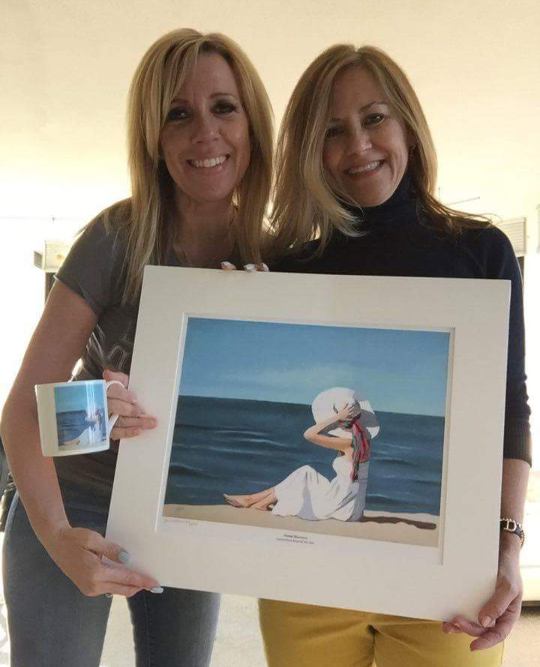 Chicago Sisters find their memorable print: read on…. 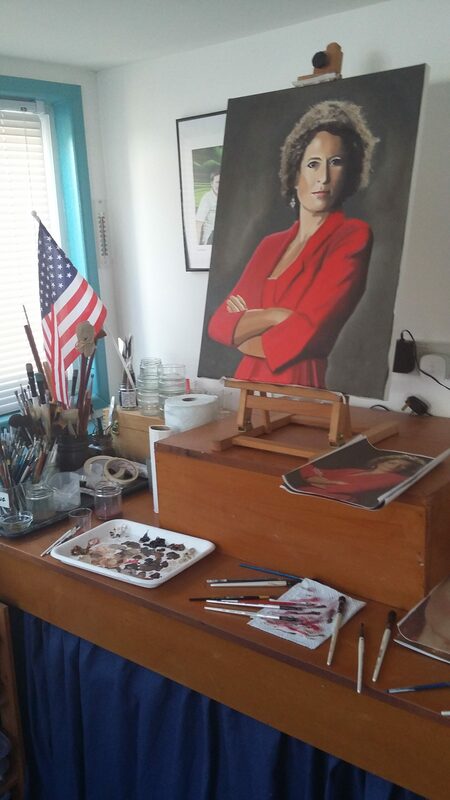 One week in on the portrait for Alex Polizzi, The Hotel Inspector. There’s a huge amount left to do on this fascinating lady. Watch this space! Nadiya Hussain: her new series beginning very soon. 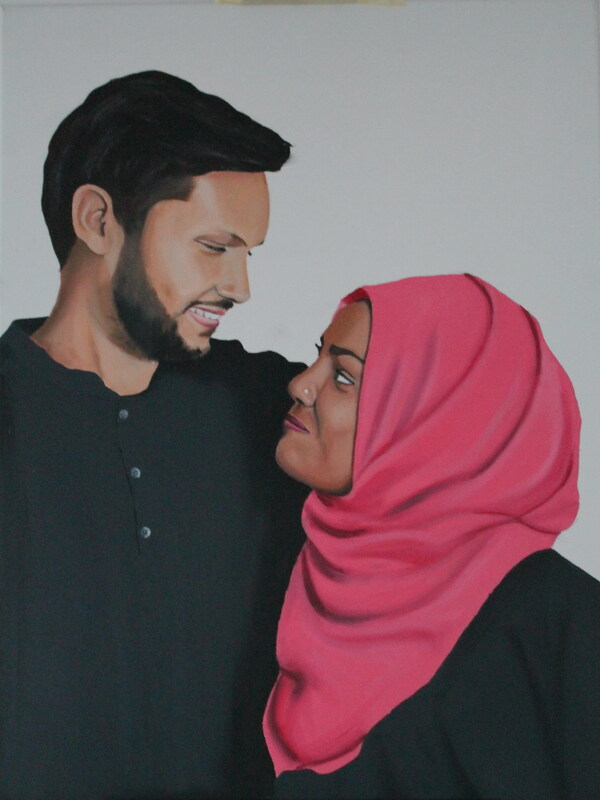 I was honoured to be able to paint Nadiya and her husband Abdal last year. She is a remarkable lady and I wish her well in her new series on the BBC.